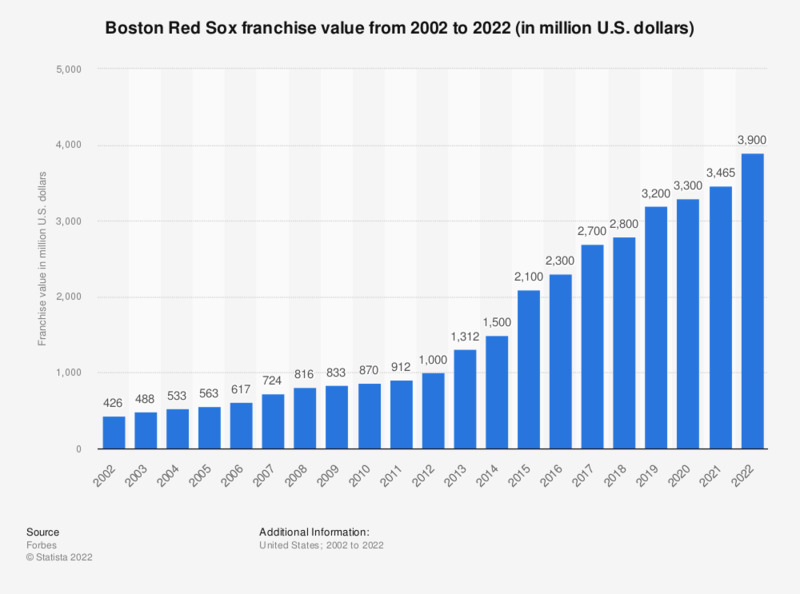 This graph depicts the value of the Boston Red Sox franchise of Major League Baseball from 2002 to 2019. In 2019, the franchise had an estimated value of 3.2 billion U.S. dollars. The Boston Red Sox are owned by John Henry and Thomas Werner, who bought the franchise for 380 million U.S. dollars in 2002. Everything On "Boston Red Sox" in One Document: Edited and Divided into Handy Chapters. Including Detailed References. Statistics on "Boston Red Sox"